Whether you want a proof of concept for funding, or a working model, GSPK Design can guide you through the electronic prototyping process. 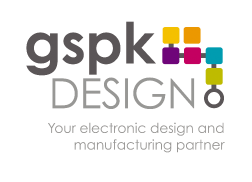 With over 75 years of combined electronic design and manufacturing experience, GSPK Design are experts in New Product development, prototyping and pcb layup. Depending upon your requirements, GSPK Design can, and have, created a prototype within 24 hours. Our use of generic COTS (Components Commercially available Off -The-Shelf) helps reduce costs and time-to-market, whilst providing proven reliability. Off-the-shelf housings offer flexible low cost solutions and can deal with many different environmental requirements, from extremes of temperature to moisture and continual knocks and bangs. However, should you need a bespoke product housing, GSPK Design can provide 3d CAD modeling and rapid-prototype 3D printed visualization models to help hone your design idea’s. We would also be happy to work with your industrial product designers. Our prototyping facility is highly flexible. Whether you need 1 or 100 prototypes for a product launch or field test, GSPK Design can handle this in-house. If you need a proof of concept prototype to secure investment, or simply to market test, we can develop a prototype at reduced cost. Proof of concept prototypes are supplied with a full Functional Specification, and a summary of potential manufacturing costs, and we can help you all the way through the process of a successful product launch and on to volume manufacture.